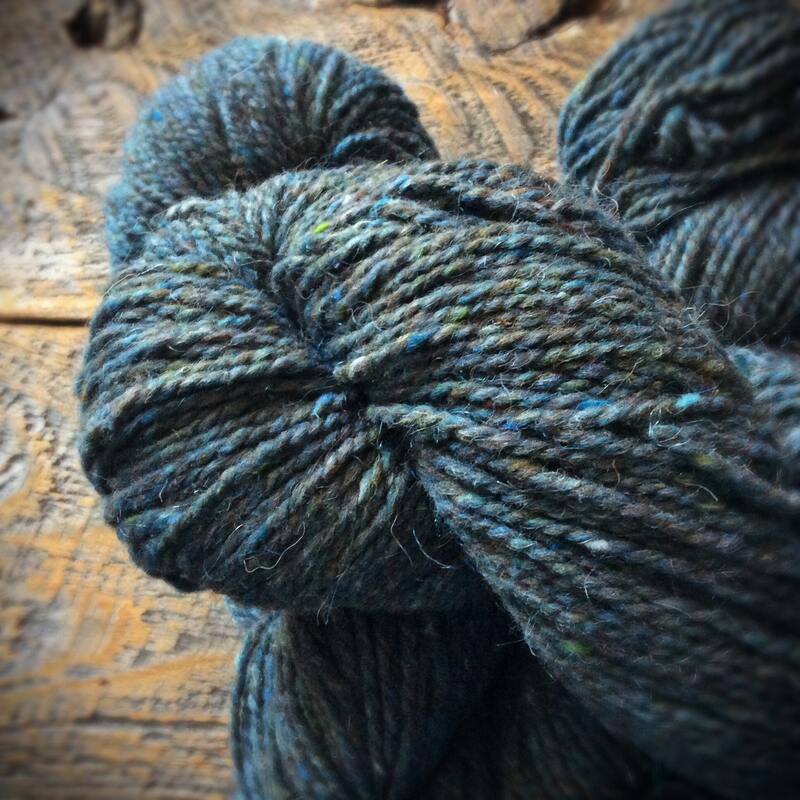 Kalinka Malinka blue is a rustic yarn; a beautiful grey-blue with flecks of mossy green thrown in. 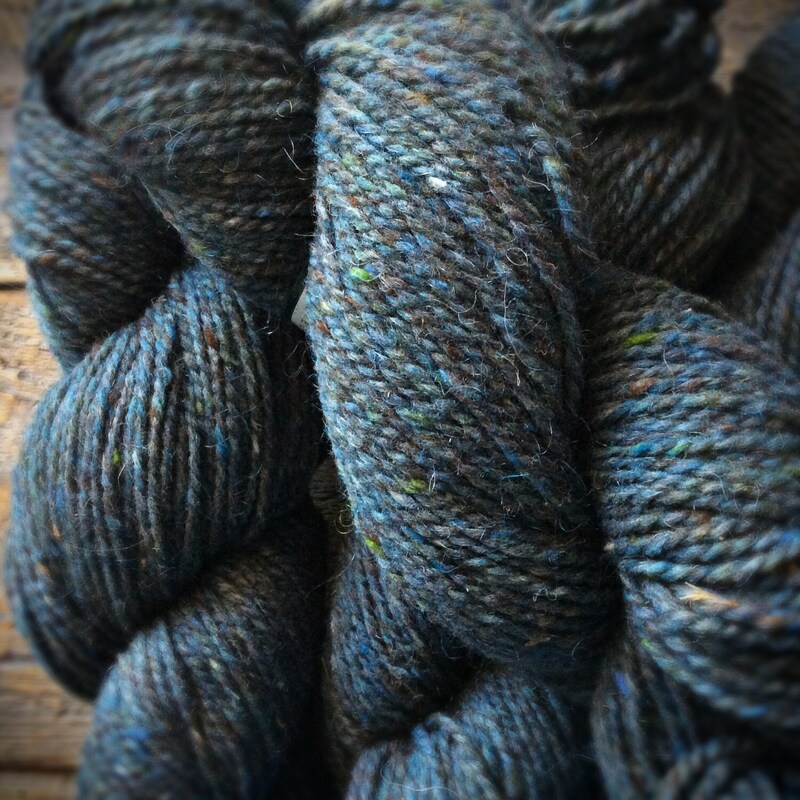 Great for a neutral sweater, hat or mittens for that man in your life. You might find you borrow them from him from time to time! 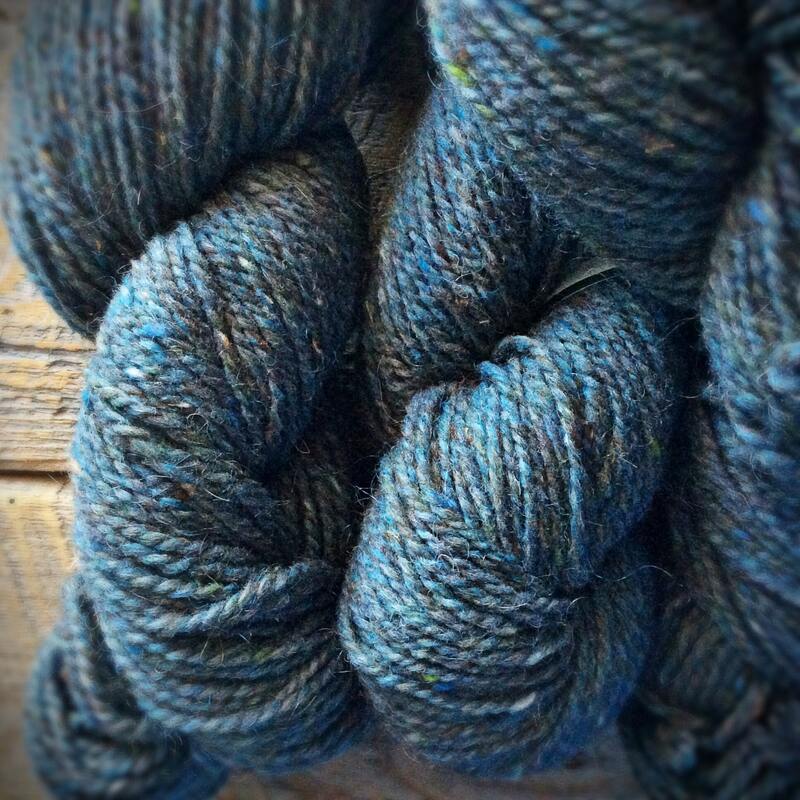 This yarn feels stiff while knitting, but relaxes the more it is washed & worn, quickly becoming a favorite. 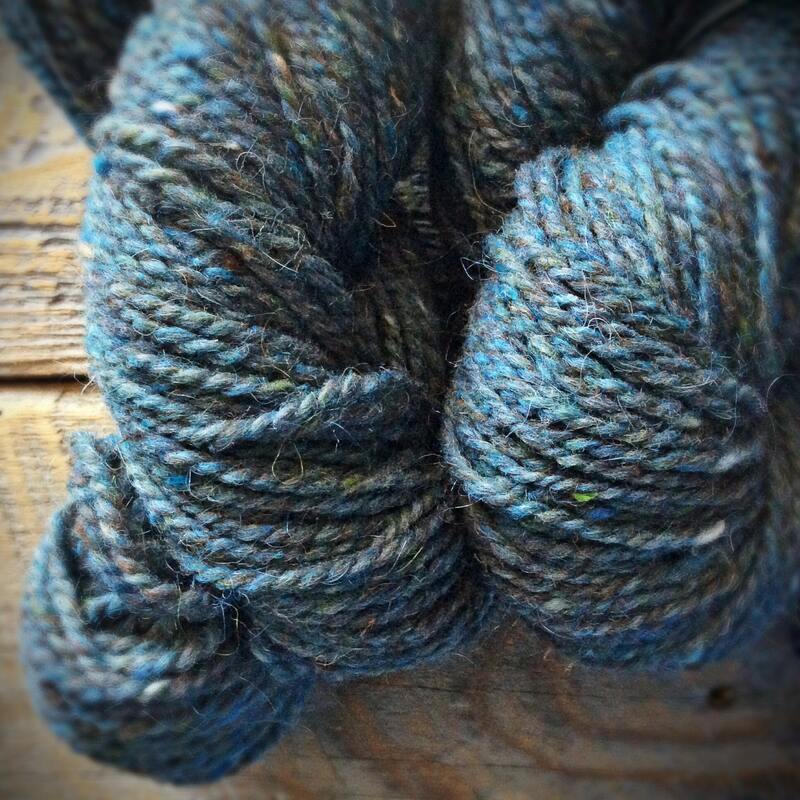 Excellent for sweaters, shawls, and mittens. Peace Fleece wool is a good, sturdy working yarn that is very warm. It will surprise you after you wash your project! Thank you again for the beautiful yarn ❤ always a pleasure doing business with you. Quick Shipment! 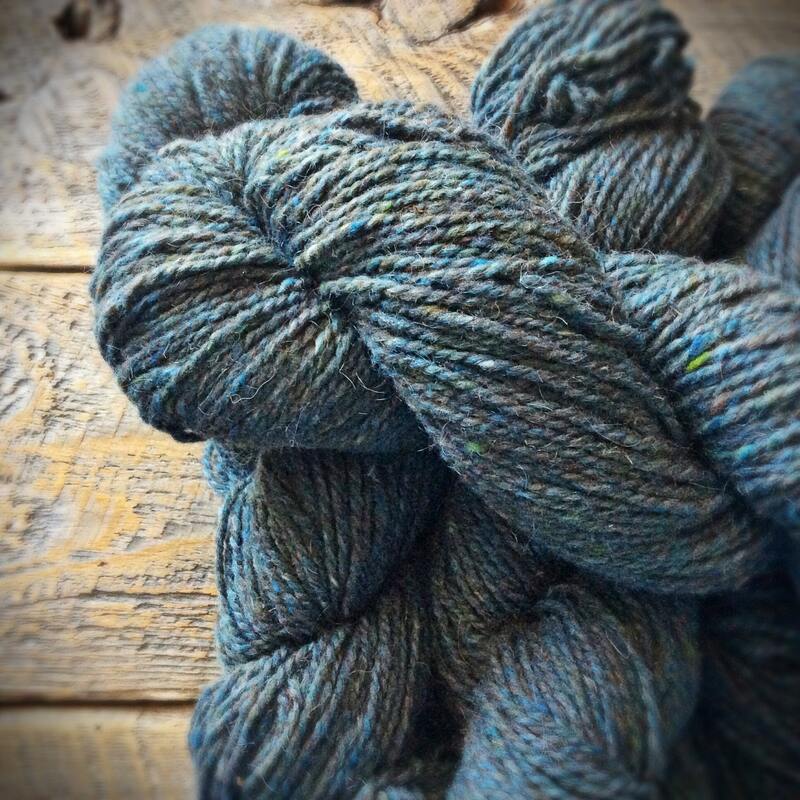 Beautiful Yarn! Thank you!